Go NUTS- the BEST to choose and why! Pop as a snack, toss in a salad, swirl into a smoothie, whip to make a cream sauce, or spread on a a cracker….whatever you do, go NUTS! Top Nuts To Include For Ultimate Benefits! Here is my basic ranking of nuts if I had to put them in order. One thing to consider… avoid eating only one type of nut (like almonds), or you will miss out on the essential nutrients and balance the other nuts provide. Branch out and explore a variety of options for your daily intake. Let your creativity shine! 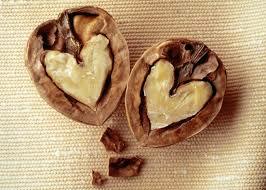 In folk medicine, walnuts were thought to be the best brain food because of their distinctively brain-like appearance. They are an excellent source of anti-inflammatory omega-3 essential fatty acids, in the form of alpha-linolenic acid (ALA). One of the few plant sources of omega 3’s to help keep our ratio of Omega 3 to Omega 6 stay in check. Both 3’s and 6’s are important but we want more of the Omega 3’s! Walnuts are rich in antioxidants, a very good source of manganese, copper, molybdenum, and the B vitamin biotin. Toss in oatmeal, roast them with a bit of sea salt and maple syrup. If you don’t like the taste whirl into your smoothie. Check out my favorite nut mix below. You may be surprised by pick #2. Aside from being a great source of protein, fiber, and heart-healthy fats…pistachios are excellent if you are prone to stress eating. Shelling them gives your hands something to do which can have a very soothing, calming effect on the mind—and the appetite! 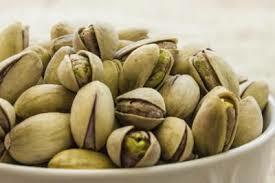 Also, you can enjoy the greatest amount of nuts per serving (about 49 nuts) with pistachios than any other nut. Check out these amazingly fun and delicious pistachio recipes! Often these are the unsung hero of the nut bowl since Brazil nuts are packed with selenium, a mineral rich in antioxidant and anti-inflammatory properties. This nut contains more selenium than any other food in a small amount. It is important for reproductive health, thyroid function, and has been shown to improve mood, and decrease anxiety. 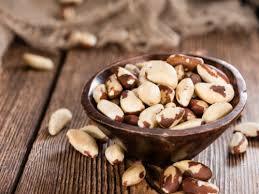 Brazil nuts are commonly eaten raw or blanched and are also high in protein, fiber, thiamine, copper and magnesium. Two a day is like a superfood supplement, but you can overdo it! So let this nut complement the nut bowl, not overshadow it! Keep in mind that the amount of selenium in Brazil nuts differs greatly depending where they are grown. Particularly rich in copper and magnesium. Copper plays a role in iron utilization in the body and magnesium is important for regulating muscle and nerve function, along with blood sugar control. They are also super versatile and are able to be used as a cheese (for those that can’t tolerate dairy), cream sauce, milk, and so much more. 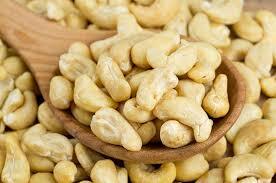 Cashews offer people trying to kick dairy a delicious alternative. Think outside the box and check out this delicious Cashew Garlic and Herb Cheese! Most clients expect me to name this as the top nut since it seems we have gone almond crazed these days between almond butter, almond milk, almond creamer, almond flour, almond tea….do I need to go on? Some of us may need a break from this nut. However, it has wonderful qualities besides taste…almonds contain vitamin E which assists in achieving healthy, glowy skin, improves immune function, and protects the body from oxidative damage. 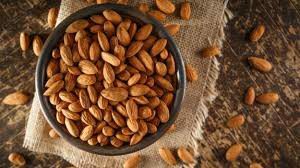 Almonds also contain magnesium, calcium, and folate. Like most nuts, they are also high in monounsaturated fat which reduces inflammation and lowers risk of heart disease. Try them raw or roasted, processed into a nut butter, pulsed into a flour, or rough chopped and tossed in a salad. 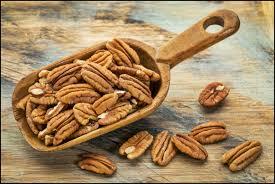 I find it interesting how few client eat pecans and perceive them as unhealthy. Perhaps it it because we associate pecans with pie and ice-cream;)! However, this nut contains about 19 different vitamins and minerals as well as antioxidants! The monounsaturated fats in pecans may help improve your cholesterol profile, and they actually contain three times the flavonoids (a type of antioxidants) of almonds and 10 times that of walnuts! Toast and toss in a green salad or quinoa salad. Check out these recipes for a twist on some of your favorites! If you are stuck on only eating almonds or walnuts….GO NUTS and get out there and explore the vast world of nuts. Be sure to chew well to get all the health benefits. 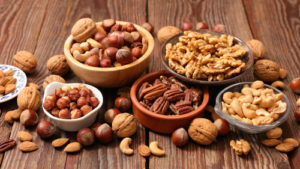 Nuts may be hard to digest and full of insoluble fiber…so if YOU don’t break them down yourself (chew, chew,chew) , they will go through you partially digested and you will not get the full benefit of nutrients to absorb! 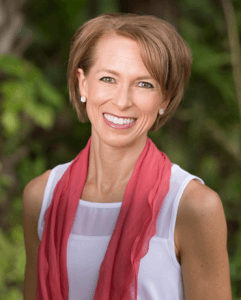 Remember…it is not what you EAT but what you ABSORB! Leave a comment and let me know YOUR best way to include nuts…. ….share a recipe or best “nutty secret”. Here is my favorite snack to get my anti-inflammatory, fiber and magnesium punch for the day! Mix together 1/4 cup raw almonds, 1/4 cup walnuts, 1/4 pumpkin seeds + 1/3 cup goji berries. Mix together in bowl and toss into mini mason jars for a snack on the go!